The Shure UHF-R series reinforces Shure's status as leaders in large-scale touring and fixed installation wireless microphone systems. The UHF-R series is primarily designed for touring, stage performances, fixed installation in large clubs, theaters, houses-of-worship, large scale presentations and more. 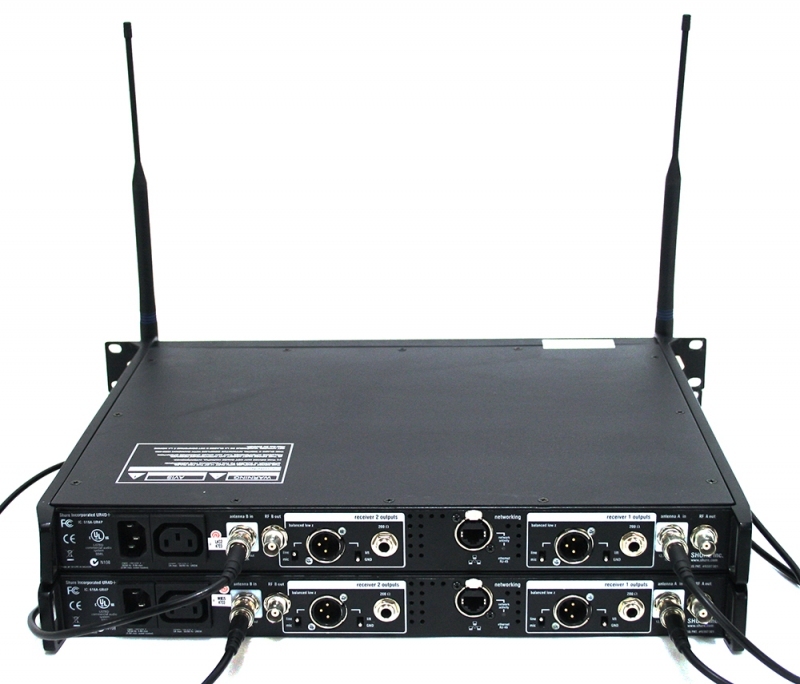 The UR4D Dual Receiver features dual, internal receivers enabling 2 UHF-R series transmitters to operate simultaneously. 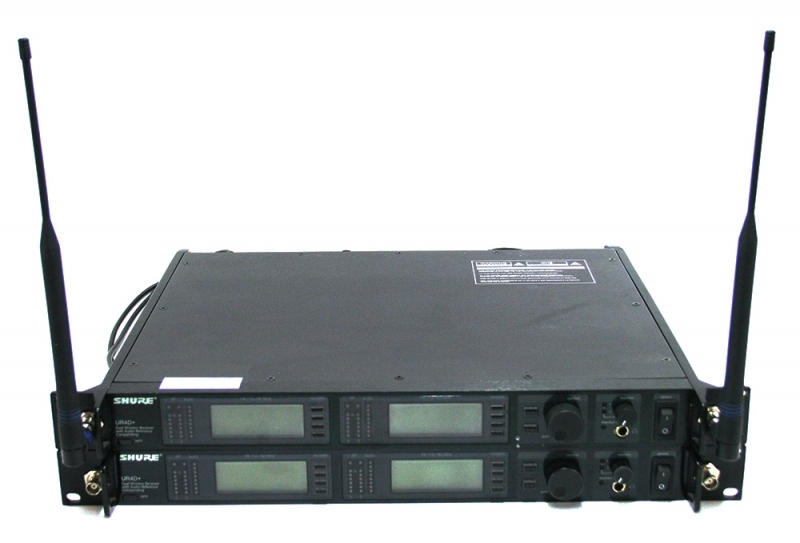 The UR4D features a diversity design that aides in minimizing Radio Frequency (RF) interference and noise. A backlit LCD provides access to all programmable parameters. 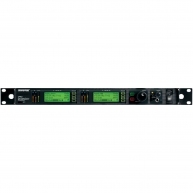 Audio outputs include a microphone / line level switchable balanced XLR with ground lift and 1/4" phone connectors. 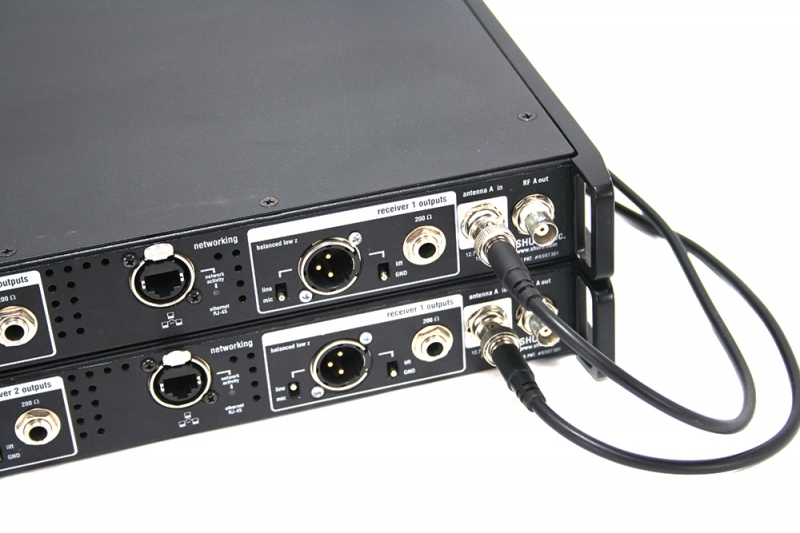 USB and Ethernet connections are provided for direct integration with a PC and network arrays. Shure. It's your sound. Here's You. You've got something to say. Something to play. You want to share it with the world - or maybe just 50 people in a smoky bar. Either way, music is your life. Here's Us. We're a lot like you, except we make microphones. We're passionate about sound - and about audio products. We design and build them as if we were using them ourselves. Because a lot of us do just that. KBase ResourcesAbout Us Resources Contact Shure: United States Asia Europe, Middle East & Africa Canada, Latin America & Caribbean Here's Your Sound. It's where we meet. Shure has been enthusiastically dedicated to helping you tell the truth in notes, words and sound since 1925. We make microphones and audio electronics to help amplify, process, and mix your sound. Perfectly. Transparently. Reliably. This success is and always has been due to our recognition that audio electronics are the means to self-expression for a diverse group of individuals worldwide. Without the desire of so many to have their unique voices heard, there would be no Shure Incorporated. Now, past our 75th year, we re-dedicate ourselves to this notion of being the audio tool of choice for personal expression, reminding ourselves that "Shure" is synonymous with "your sound." Our history is one of innovation and excellence. 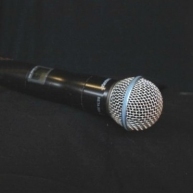 For instance, our SM57 and SM58 mics are still the world's top sellers - over 30 years after they were introduced. Our products are, quite simply, the tried and true products of genius. Of course, there's a lot more to the story. Click here for a Brief History of Shure. So, what do we make? Lots of great gear for stage and studio: Microphones. Wireless microphones and wireless guitar systems. 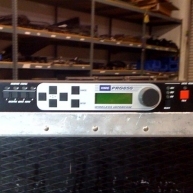 Digital signal processors and feedback eliminators. Personal (in-ear) monitor systems. Hi-Fi phono cartridges and DJ needles. 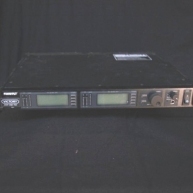 Portable mixers and digital signal processors. If you're here because you're a musician (or speaker or engineer or sound technician), you've come to the right place. It's nice to meet you. Because you and Shure, we've got something in common. 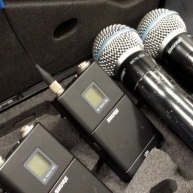 Communication accessories are essential pieces of equipment for stage managers and technicians involved in the production of concerts and other shows. 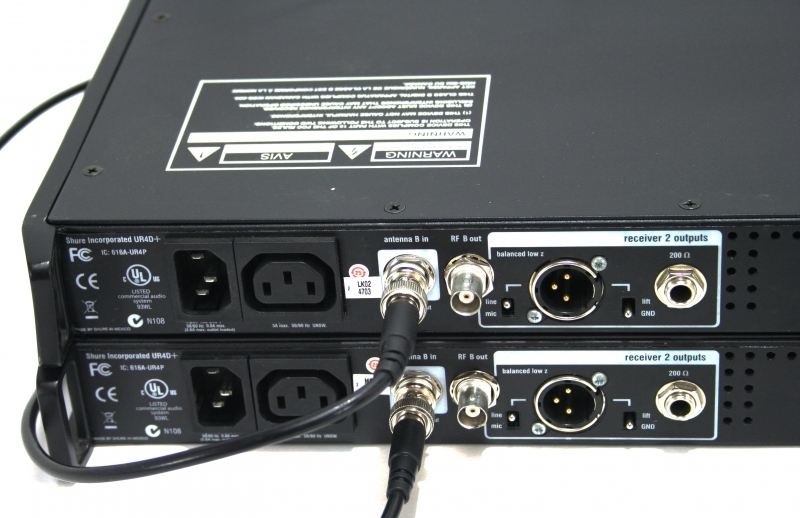 Being able to communicate with other technicians and producers during the middle of productions is essential if everything is going to go off without a hitch, and for that reason communication accessories are vital to make sure everything is in good working order and kept closely to hand. One of the most important pieces of kit for any technician is the belt pack, and for this reason a belt pack charger is a must have â?? allowing technicians to instantly recharge their belt pack at any time they need to, quickly and easy. 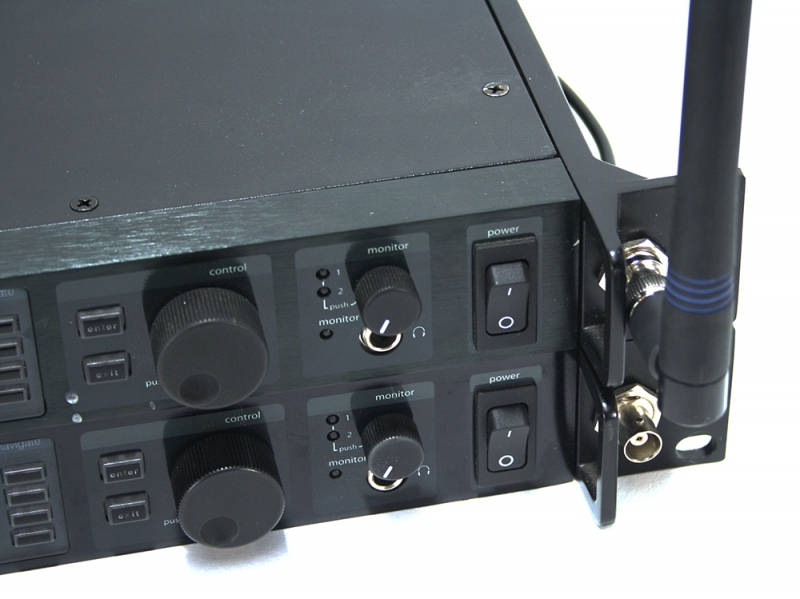 Other communication accessories include an antenna for the radio receiver, and an antenna kit for configuring it, so that communications that do not interfere with the sound production can take place. The Mic Assembly is also another essential part of a technicianâ? ?s communication accessories, acting as a hands-free headset and allowing him or her to communicate with team members while using their hands to perform some other essential task. Finally, technicians will need somewhere to keep their communication accessories where they can be easily accessed, which is why a belt clip or a pouch which can be clipped onto a belt is so handy. UR4D+ - Corporate used UR4D+ set in mint condition. UR4S - Package of (1) Shure UR4S + 4H Wireless mic receiver with a Shure SM58 handheld cordless mic. 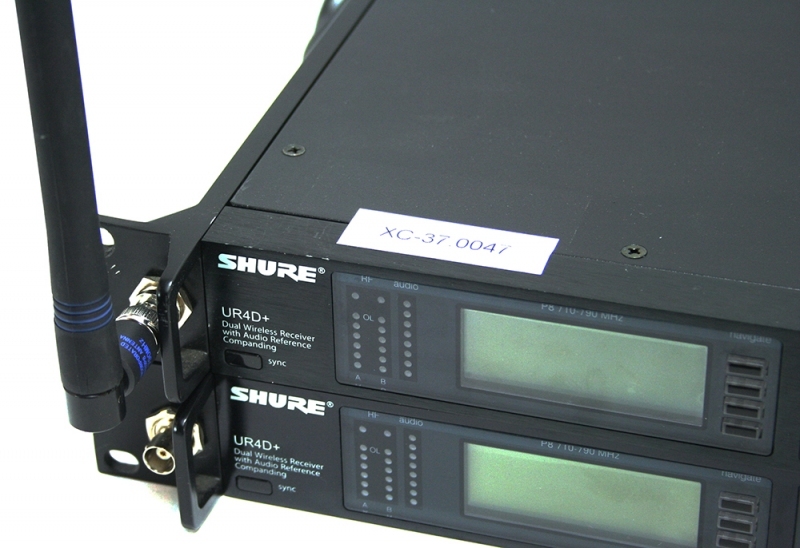 UR4D - Shure UR4D+ dual-channel UHF-R series receivers. UR4D - Shure R series package in like new condition. UR4D Package - Corporate used UR4D Package in mint condition.